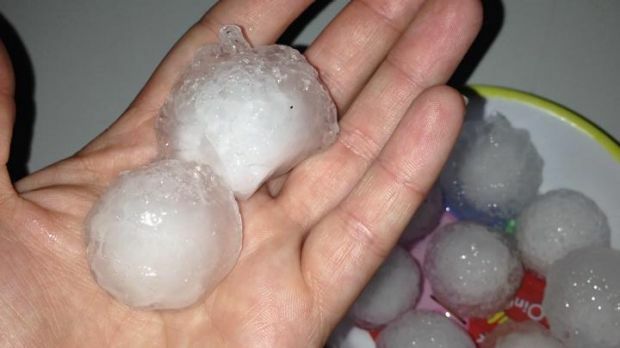 Novemebr 28 2014, Brisbane saw one of Australia’s Largest Hail storms. With a major event of this magnitude all Australian and many International PDR and Hail techs are assisting with the massive repairs and work load. I will be in Brisbane indefinitely at this early stage. Hail-damaged cars are usually vastly cheaper to purchase than their undamaged counterparts, which make them all the more tempting. But there is a reason for this. If the car you’re considering purchasing was comprehensively insured by the previous owner, chances are they may have received a payout from their insurer. The insurer considers the car a write-off, because the cost of repairing the damage amounted to more than 80 per cent of the sum insured. Although it is possible to get registration for a damaged car that was previously a write-off, insurance companies may not be as keen. It may be difficult to find Comprehensive car insurance or even Third Party Fire and Theft for a hail-damaged car, and you should factor this in when you consider buying one. Some insurance companies won’t offer these insurances at all, while others may, but at a price. It is likely that you will be offered Third Party Property for a hail-damaged car. This will exempt you from legal liability for any damage to other people’s vehicles or property from an accident you cause, but it will not cover your own. If you’re satisfied with this insurance, which is more cost-effective than Comprehensive car insurance and Third Party Fire and Theft, then it is a great option for you. If your car has already been damaged by hail and you didn’t have comprehensive car insurance, you won’t be able to claim now for repairs on any panel the hail has affected. If you’re considering insuring your car now, post-damage, it’s very important that you consider what car insurance options are available to you. Many insurers won’t provide Comprehensive car insurance, and some will even refuse Third Party Fire and Theft for a hail-damaged car, so you may only have the option of Third Party Property car insurance. This means that if your car is damaged in an accident or is stolen, you won’t have any cover to repair or replace your car, but the vehicle and property of anyone affected by an accident you cause will be covered. The best way to find affordable car insurance for your hail-damaged car is to compare quotes and read the product disclosure statements so you know exactly what you’re covered for. It is important that you answer questions about the damage truthfully to your insurer, or your claim could be rejected when you need car insurance the most. If you have a hail-damaged car or are thinking of buying one, compare some car insurance quotes and see what cover is available for your car.